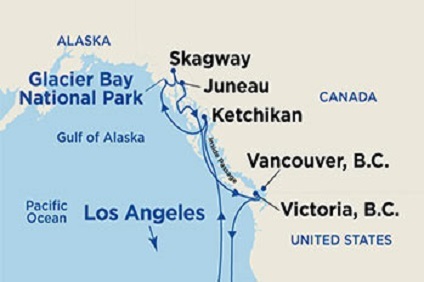 12 Night Cruise sailing from Los Angeles roundtrip aboard Star Princess. Star Princess's impressive design and amenities include an entire deck of mini-suites, four different pools spread out over three decks and enough after-dinner options and showlounges to keep you entertained for weeks on end. The revolutionary ship design offers all the big ships choices, but you will never feel lost in a crowd.